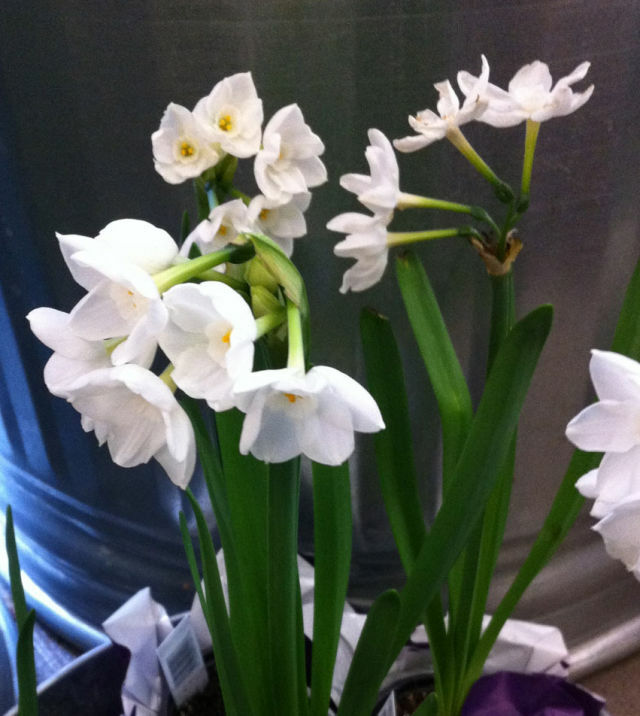 The fragrance and beauty of Narcissus gets us through the winter days and grays. By the time winter settles in – like, right about now – I'm looking forward to spring. The snow in the mountains is fantastic, but the grey in my garden and in the city sky is a little dingy. Yes, by now, with holidays over and January in full swing, I'm peeking into my garden and hoping to spot some signs of life. The signs are there, amazingly enough – furry buds on the star magnolia, little sprouts of green where daffodils will pop in a few months, even an inexplicable touch of a yellow flower petal on a forsythia bush. I have hope. Gray will retreat; green will return. But I also need help being patient, help waiting for more color to creep into the winter garden.